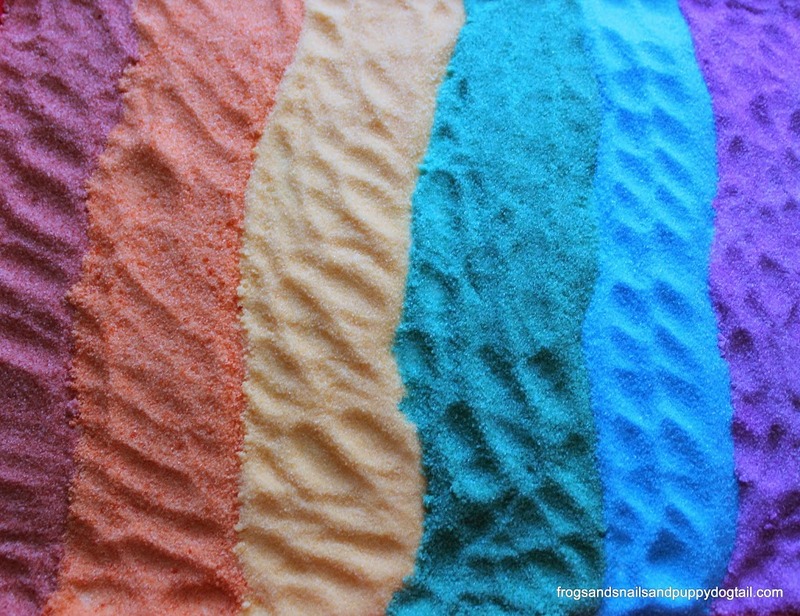 This month’s series is hosted by Sugar Aunts and the co hosts are Crayon Box Chronicles, All Done Monkey, House of Burke, Fun A Day and FSPDT(us). 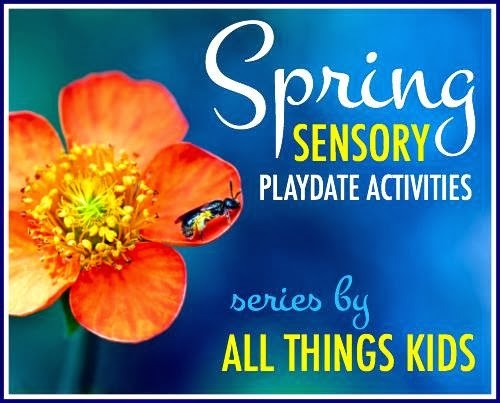 The last few days each mom has brought us a fun spring sensory play idea. 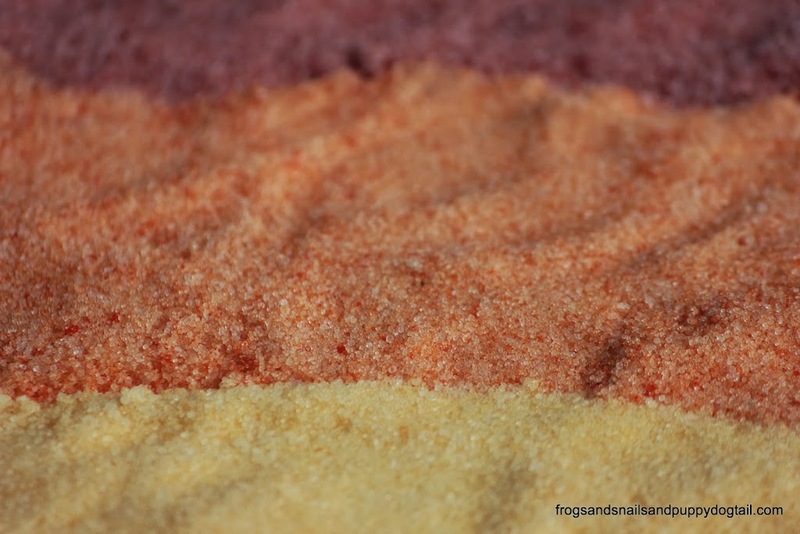 Be sure to head over to Colleen’s homepage on Sugar Aunts to see what all has been shared this week. My oldest and I have been working on letter writing lately. I have been putting off making him a fun writing tray for too long. 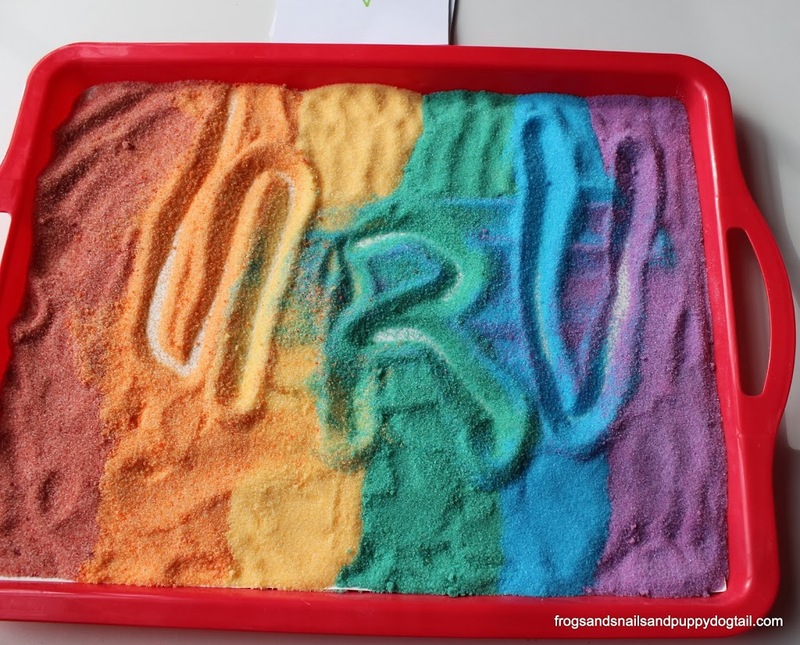 I decided to set him up a Rainbow Salt Writing Tray to practice his letters. He was thrilled! I could not find a white tray so I used our red one. I did take white poster board and line the bottom of the tray with it. Did I have to? No, but I wanted a white background. 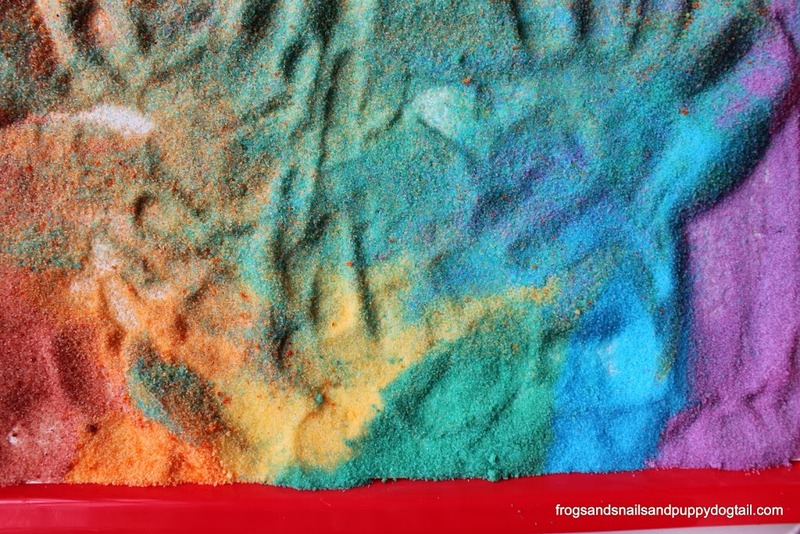 Now I took that fun rainbow salt I had already made and poured it one at a time on the tray. I made sure it was side by side. 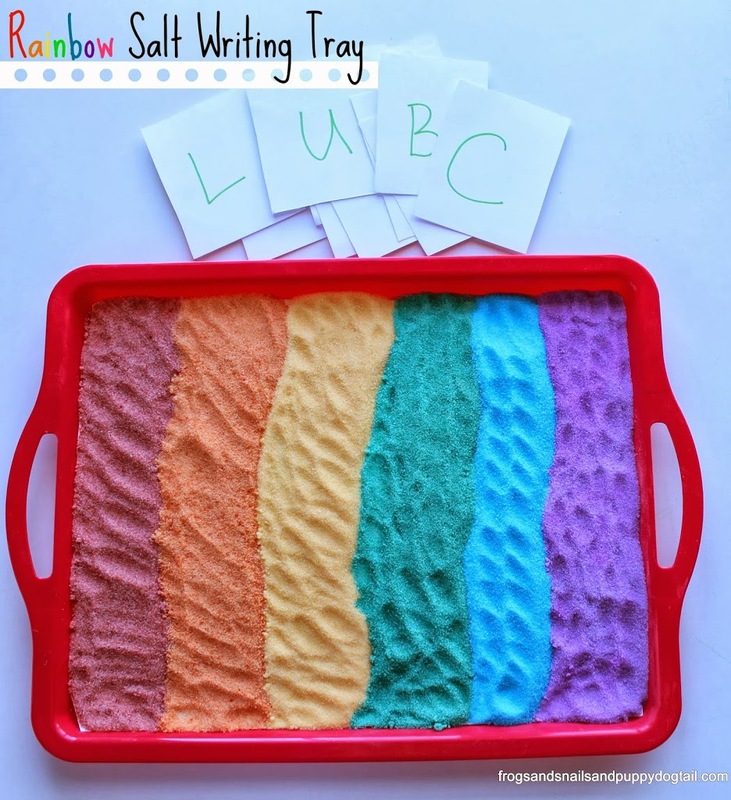 Final results, a Rainbow Salt Writing Tray. 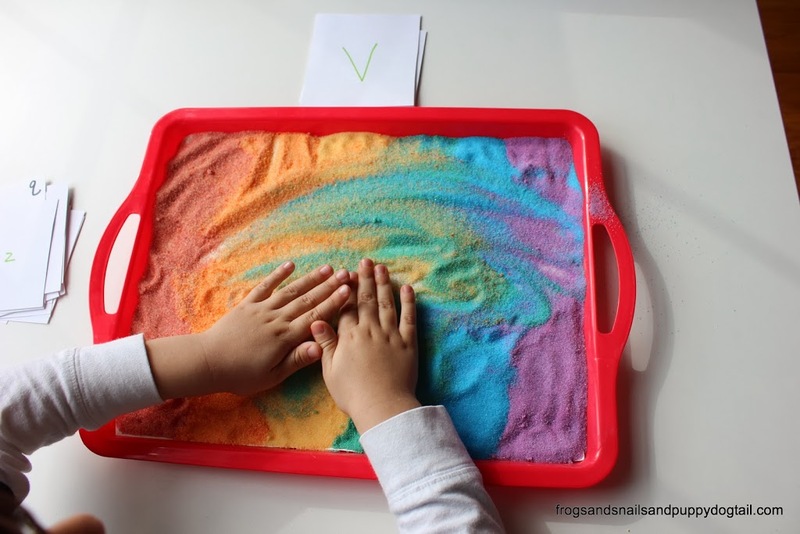 Fun sensory learning activity for my preschooler. I placed the tray on the table and gave him some alphabet cards we made a few weeks ago. He would pick a card (we left them out of order on purpose) place it above the tray and practice writing it with his finger in the salt. This was a first for us using a salt writing tray. He was thrilled and very excited to practice letter writing. Not his usual, grumpy “I do not want to write that”. It is too bad this does not count as completed homework. However, it has proven to be a way to get him excited about letter writing and practice. After writing a few letters he would take his hand and smear the salt. He said his hand was the eraser. 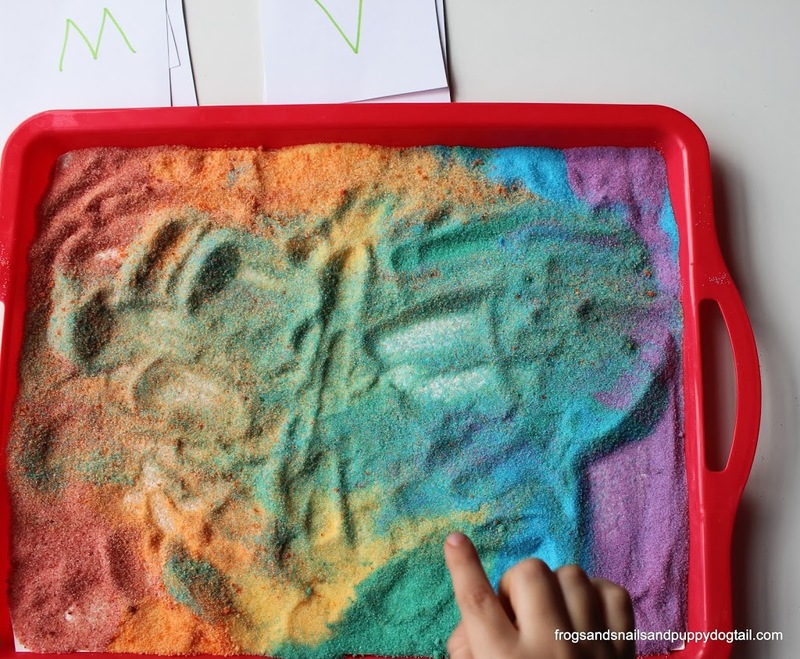 He would do 3 letters at a time across the tray before erasing them. We would say the letter and the sound each letter makes. We thought of a few words for each letter as well. 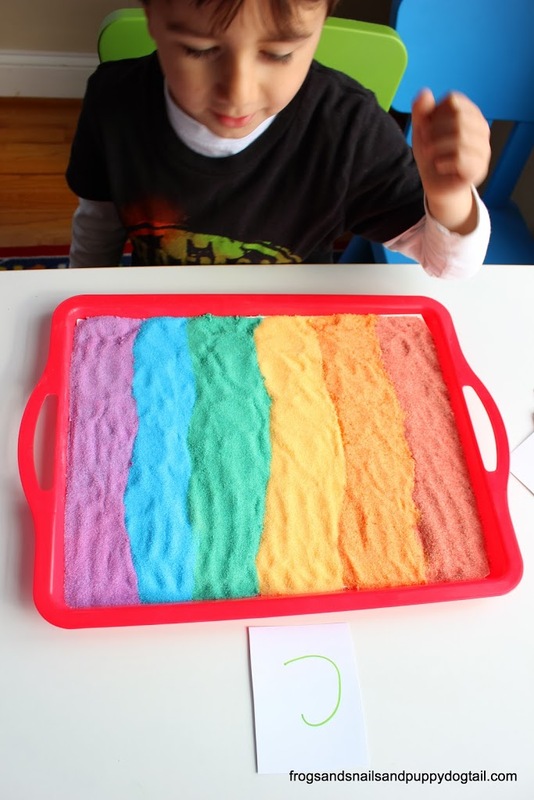 Once we made it through the entire alphabet he had fun running his hands through the salt. He drew a few pictures before he was through. He did ask that we keep the tray so he could practice writing again. 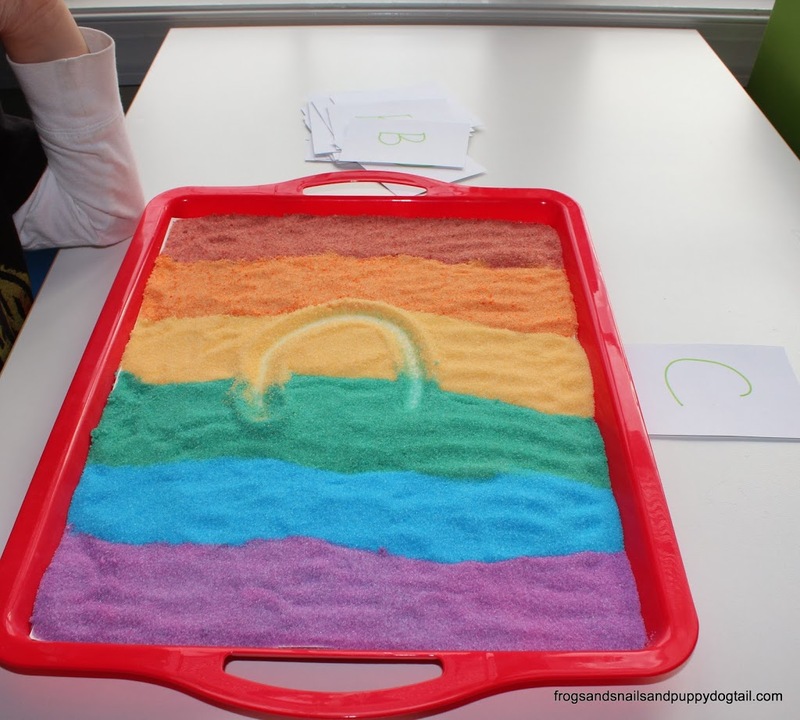 This salt writing tray was a great way to explore sight and touch. 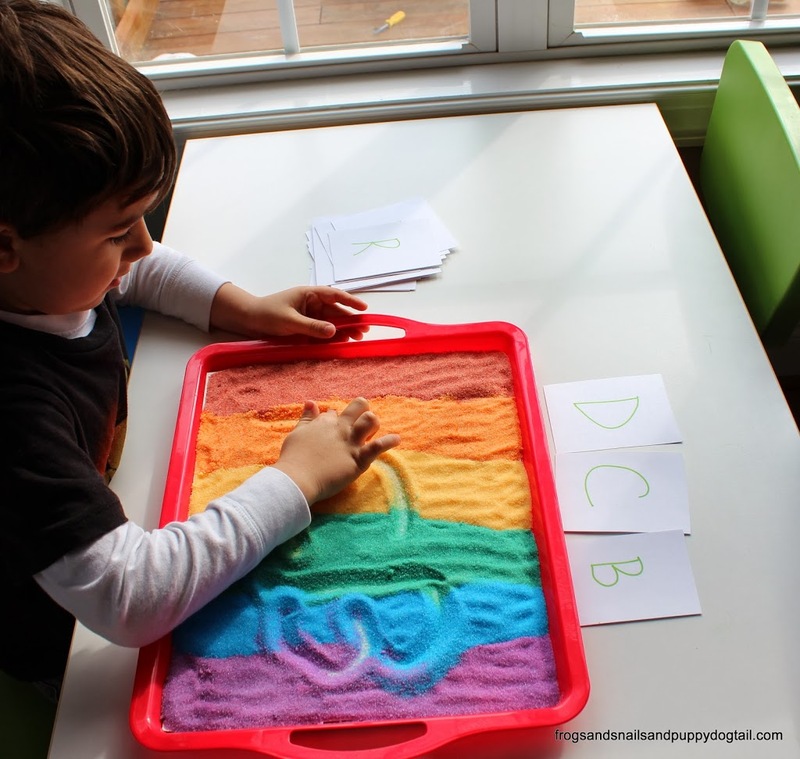 Finding ways to learn through sensory play is a hit with my preschooler!